For the album by Tina Arena, see Don't Ask. 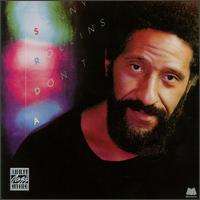 Don't Ask is an album by jazz saxophonist Sonny Rollins, released on the Milestone label in 1979, featuring performances by Rollins with Mark Soskin, Larry Coryell, Jerome Harris, Al Foster, and Bill Summers. The Allmusic review by Scott Yanow states: "A bit erratic, this album is still worth acquiring for its stronger moments." ↑ Sonny Rollins discography accessed September 25, 2009. 1 2 Yanow, Scott. "Don't Ask > Review". Allmusic. Retrieved June 26, 2011.